As an instructional coach and former teacher at a large urban high school, I am in classrooms every day observing lessons, modeling skills and collaborating with teachers. The part of my job that I like the best is listening to teachers connect with their students in a variety of creative ways. We know the significance of those connections and know that without them, our classrooms would not be the community we work so hard to achieve. Teachers are creating deeper connections between students and complex subject matter through creative uses of technology — often ones that are already popular with students and readily available on their smartphones. Shortly after the start of the school year, I visited a sophomore Chemistry class. A day-one survey the teacher had administered revealed that many students had an overall disdain for Science, had not been successful in previous Science classes, already had preconceived notions of Science being boring and pointless, viewed themselves as “stupid” or “dumb” when it came to Science and were not looking forward to the class. Students quickly took out their phones and waited for the moment. As she struck the match and lit the fluid, a whitish cloud arose from the beaker causing students to “ohhh,” “ahhh,” and snap. “Wait, I wanna post it!” another student added. She proceeded to do the demonstration two more times. The second time, she explained the steps in far greater detail, sharing the whys and hows of the chemical reactions. Students listened, nodded and were eager to see the demonstration again. As the teacher set up to do the demonstration a final time, she encouraged students to get their phones ready once again. Students felt empowered and innovative as they prepared to snap. Adding to their excitement may have been the fact that our school does not allow phone use unless approved by the teacher, making Snapchatting in the classroom a special treat. In addition, social media is especially frowned upon, unless once again, authorized by the classroom teacher. As you can imagine, not many teachers allow social media opportunities in their classrooms. But that day, the use of social media proved to be integral in helping to create the classroom community. 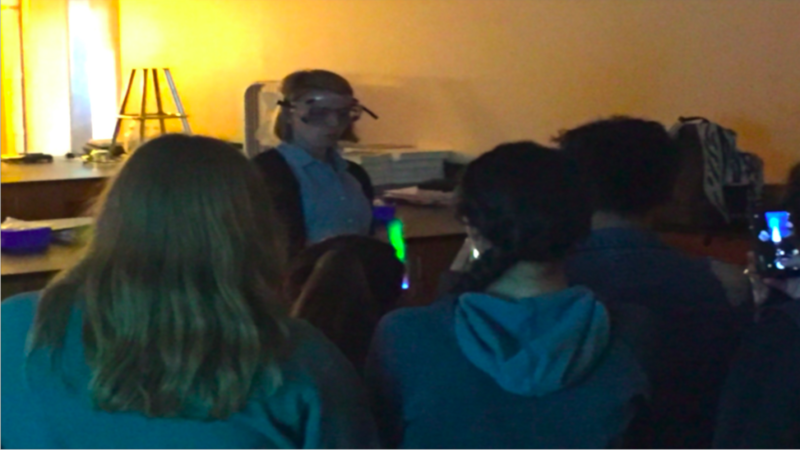 As students watched each demonstration, they believed they, too, could create experiments of interest and importance. They asked questions — why did the mixed chemicals create that color? Why did they create that sound? What happens if you add more of this chemical or that chemical? What might have been the routine chemistry demonstration turned into something much more engaging. 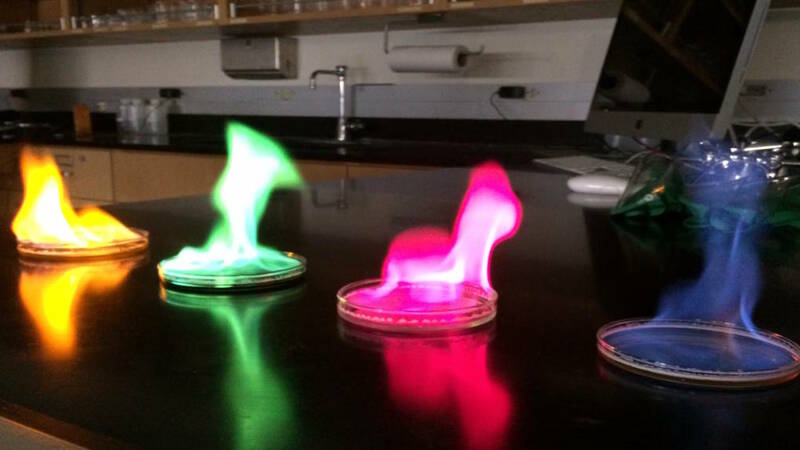 The students’ initial expectations of boring, stupid, or dull Chemistry classroom lessons were quickly changed as they took their Snapchat photos. In contrast, the questions they asked showed their curiosity and wonder — two vital characteristics of every scientist. Giving students the permission to record the moment and snap it meant that the lesson was meant to be shared; that it was interesting and stimulating enough to be shared. The snapping created an action for the students and made them more engaged because they felt like they were participating. And yet, we know there is nothing simple about engagement or building a sense of community. The teacher had created an environment where students were encouraged, even empowered to share their learning in a format most comfortable for them. How “very cool” is that? Peg Grafwallner, M.Ed., is an Instructional Coach/Reading Specialist at a large, urban school in Milwaukee, WI with nearly 26 years of teaching and learning experience. She began her career as an English teacher at a private school. Currently, Peg collaborates with teachers creating, designing, modeling, implementing and assessing literacy lessons meant to enhance skillbuilding. Peg is a blogger, author, and national presenter with articles appearing in ASCDExpress, ASCDInservice, Booksource Banter Blog, Edutopia, Exceptional Parent, Literacy Daily, Literacy and NCTE, WSRA Journal and the Illinois Reading Journal. She can be reached at peggrafwallner@gmail.com or at https://peggrafwallner.com.